The Orthodox Christian Network (OCN) has aired an interview with Roy Azar, project coordinator for the International Orthodox Christian Charities (IOCC), on OCN Now Radio. As Syria’s civil war now enters into its third year, it is the families still living in the country who suffer the most and the IOCC is one of the few humanitarian organizations still in Syria providing desperately needed relief to people affected by the conflict. 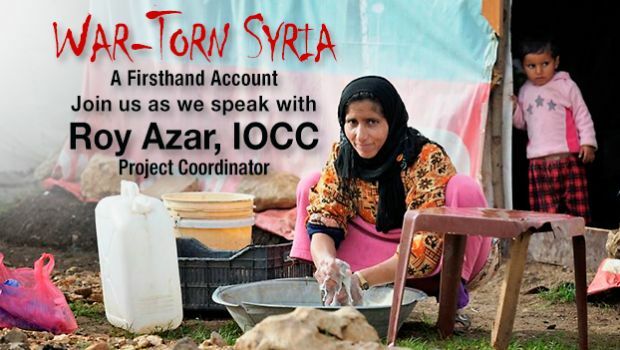 The organization has been working inside Syria since it began responding in 2012 to the humanitarian needs, and OCN was able to supply this firsthand account from Mr. Azar, who has been working on the front lines of this crisis.